In a BusinessWeek interview earlier this month, Apple CEO Tim Cook confirmed plans to manufacturer some of the company's Mac computers in the US. At the time, Cook didn't say specifically what models would be made in Apple's home country, but he noted that the plans went beyond mere assembly and have been in the works for a long time. He also revealed that the production wouldn't be handled directly by Apple, but that the company would be investing over $100 million to make it happen. New details about that plan have supposedly been shared by anonymous industry sources cited by DigiTimes. 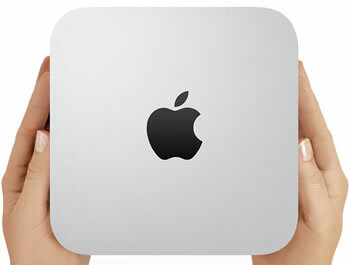 According to those in the know, Apple will move production of its Mac mini systems back to the US, and Foxconn will handle manufacturing. Foxconn currently has about 15 operating bases in the US and the company will reportedly be hiring new workers in 2013 to run automated production lines. DigiTimes notes that Quanta Computer, another major OEM partner of Apple, also has a couple of operating bases in the US (specifically in Fremont, California and Nashville, Tennessee), but the site doesn't mention whether or not these locations are expected to start making Apple hardware. Previous rumors insisted that the Mac Pro would be built locally, so perhaps we'll hear more about that in the future. This move comes shortly after it was discovered that some of Apple's latest 21.5-inch iMacs are labeled as being assembled in the US -- a claim that implies a "substantial transformation" took place in the US. In October, Chinese computer manufacturer Lenovo announced that it would invest $2 million to build some of its Think-branded notebooks and desktops at a facility in Whitsett, North Carolina.